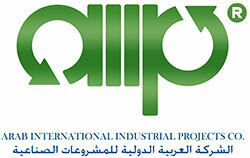 Arab International Industrial Projects Company (AIIP) is a full-service Recycle aggregates company that has been supplying the material in all Middle East Region since 2005. Our reputation has been built on integrity and excellent service. AIIP offers a full line of rock, crushed stone products, crushed concrete, sand, gravel and other quality materials. AIIP specializes in on-site crushing and screening of materials. Our portable crushers, screening plants, hoes, loaders and full complement of breaking equipment are available for crushing. All of our AIIP facilities accept broken concrete, rock, and other recyclable materials. If necessary, we can arrange for the pickup of these materials. Copyright © 2015 Arab International Industrial Projects K.S.C.C.. All Rights Reserved.